The Chase Freedom credit card is one of the newer credit card products that the bank offers and as far as cash back credit cards go certainly seems to have a lot to offer. As a credit card the Chase Freedom card stands up well to other offerings. There is 0% APR charged in purchases for the first six months of card membership as well as 0% APR for twelve months on balance transfers made within the first 60 days of card membership. After the initial introductory rates expire the interest rates attached to the Chase Freedom credit card are still fairly reasonable, keeping in mind that the APR is usually higher on rewards cards than on more basic credit card offerings. The APR varies from 11.99% to 22.99% depending upon a cardholder’s credit rating and card repayment history. Therefore paying off balances every month is definitely the best course of action if you want to reap the maximum benefits from using this particular cash back credit card. As you can see the scheduling of the bonus rewards makes fairly good sense and the extra rewards on summertime travel may help card holders pay for their next vacation! In addition new card holders receive additional $100 cash back if they make $500 worth of purchases within the first ninety days that they hold their Chase Freedom credit card and none of these cash back rewards ever expire so you can “save them up” for as long as you like. Although they are both rewards cards there are distinct differences between the Chase Sapphire card and its cousin the Chase Freedom credit card. There is no 0% APR introductory offers attached to the Sapphire card but instead there is a very reasonable 13.24 variable APR applied to all purchases and balance transfers. The real difference between the Chase sapphire card and the Chase Freedom card is in the rewards though. Chase Sapphire rewards are earned as points with one point being earned for every dollar spent on most purchases although 2 awarded for every dollar spent on airfare and hotel accommodating booked through Chase’s travel service. You can redeem Chase Sapphire Points for cash but it takes quite a while to build up a significant amount of cash though. For example you would have to accumulate 25,000 points in order to receive just $250. For this reason most people find they get a better deal by redeeming their Chase Sapphire points for gift certificates or travel discounts instead. The Chase Ink card is a cash back credit card for small business owners and if there is one thing that small businesses can never get enough of it is cash so this card can be very useful. 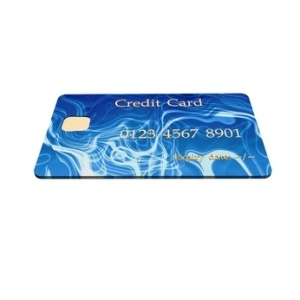 As a business credit card in itself the Chase Ink card stands up fairly well against other similar offerings. For the first 6 billing cycles the card has a 0% APR attached to it and once that period is over interest rates vary from 13.24% to 19.24% depending upon the businesses credit profile. Cash back rewards are awarded at the rate of 1% on most purchases. However cardholders can earn up to 3% cash back on purchases that Chase deems to be business related (unfortunately it’s their call on what those are, not yours) but include fuel, home improvement, dining and office supply purchases. You can also earn up to 10% cash back on purchases made through Chase’s own online shopping portal. Other business benefits attached to the Chase Ink card include free extra credit cards for employee use , which can all have set spending limits attached to them and 24-7 access to a team of Business Specialists to help you manage your account.